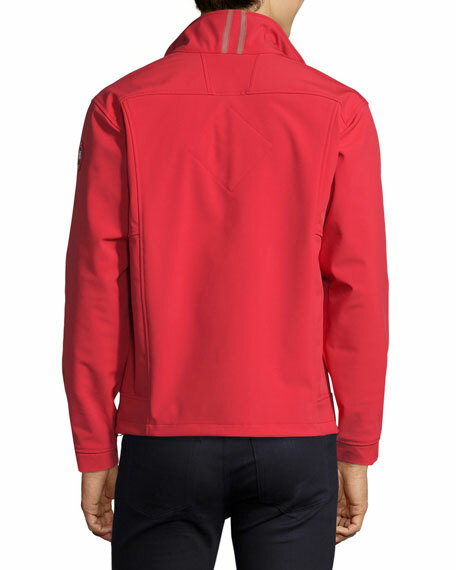 Canada Goose Bracebridge jacket in lightweight, flexible tech fabric. 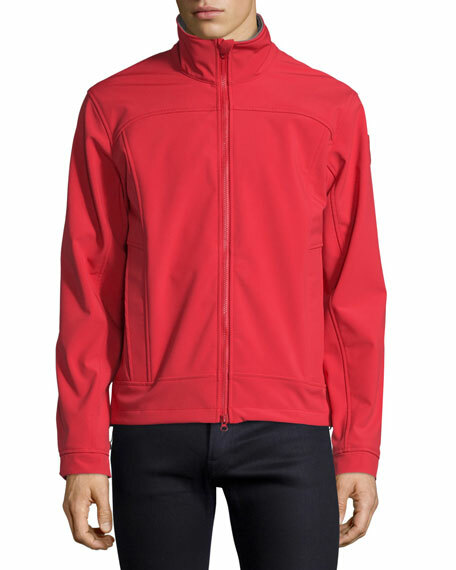 Tricot-lined collar with YKK® two-way locking reverse coil zip front with logo pull. 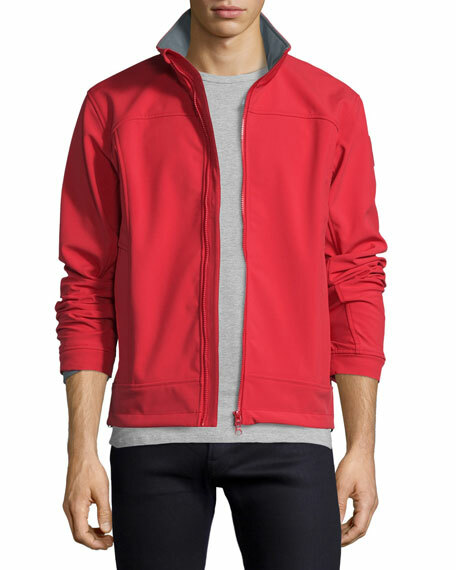 Two front pockets with YKK® reversed coil zipper. Lycra® stretch cuffs for comfort and warmth, 32"L sleeves. Center back, underarm gusset with four-way stretch panels. Adjustable hem to seal out cold or wind. Canada Goose logo patch at left arm. 3M reflective tape on back collar for visibility. For in-store inquiries, use sku #139886.